The New York Pigeon is a photography book that reveals the unexpected beauty of the omnipresent pigeon as if Vogue magazine devoted its pages to birds, rather than fashion models. In spite of pigeons’ ubiquity in New York and other cities, we never really see them closely and know very little about their function in the urban ecosystem. This book brings to light the intriguing history, behavior and splendor of a bird that we frequently overlook. 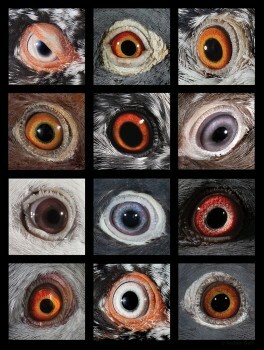 The result of eight years of passionate inquiry is a photographic study of the birds’ power and allure (as seen on the cover of New York magazine and the New York Times). The dramatic, hyper-real individual studio portraits capture the personalities, expressiveness, glorious feather iridescence and deeply hued eyes. 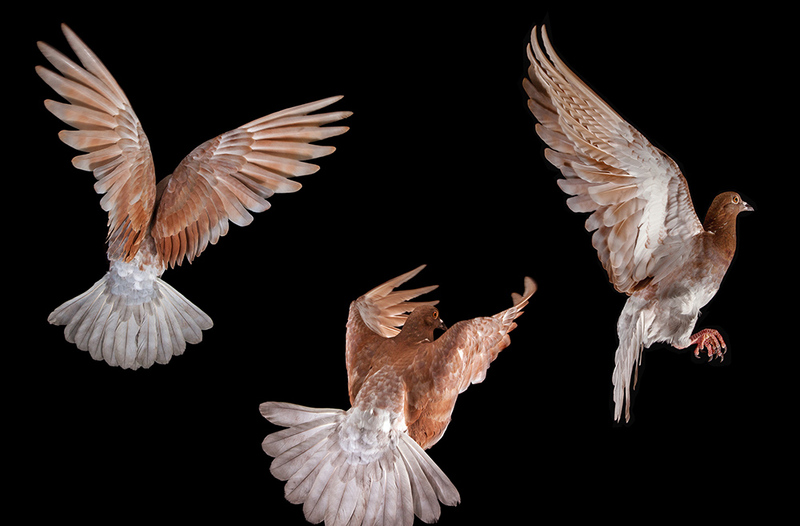 High-speed strobe photography illustrates pigeons’ graceful flight and dramatic wing movements (as featured in Audubon magazine). 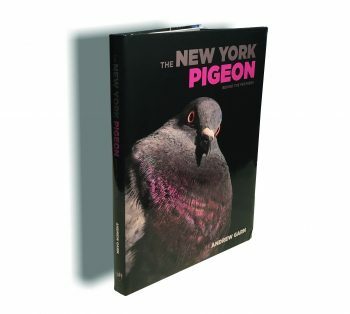 While The New York Pigeon is primarily a photography book, it also tells the five-thousand-year story of the feral pigeon. 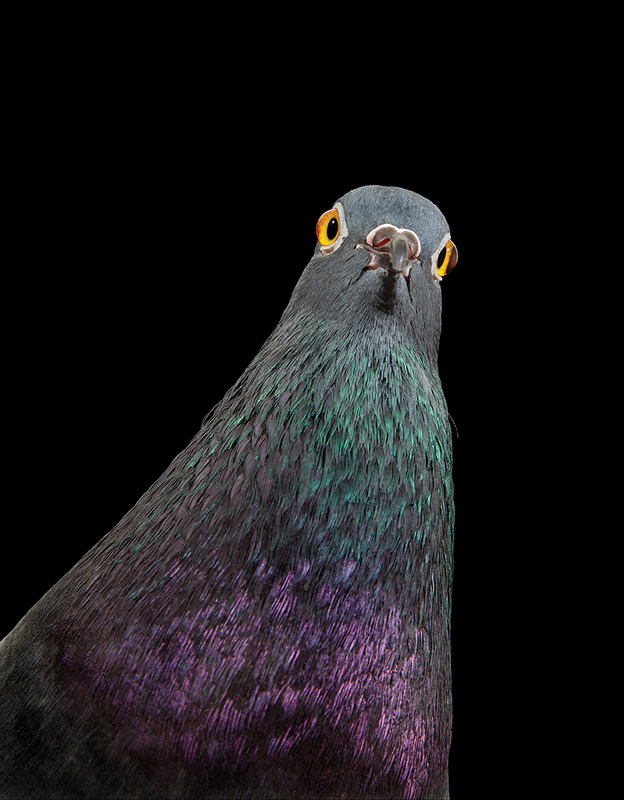 Why are pigeons so successful in cities and not in the countryside? 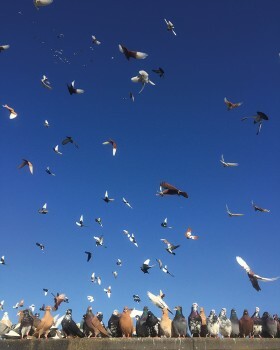 Why do they have such diverse plumage? 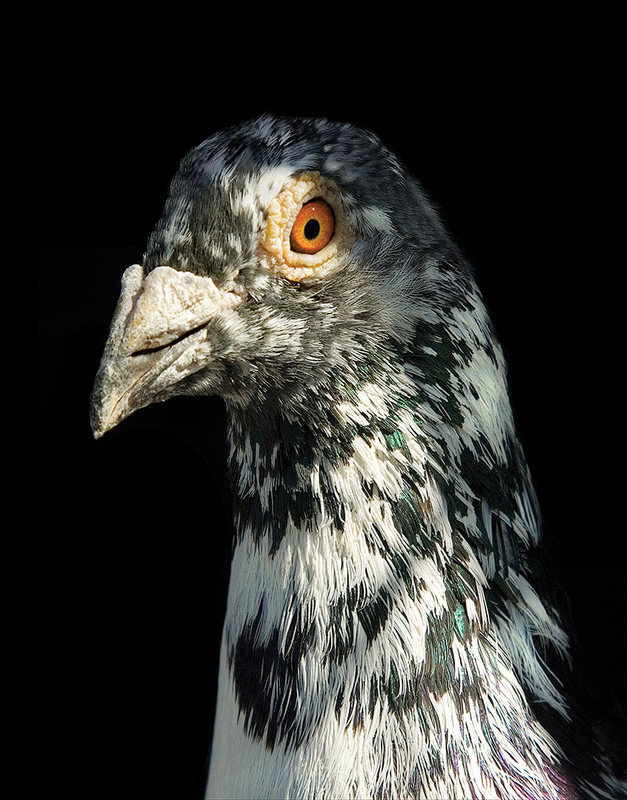 How have pigeons adapted to survive on almost any food? Why are pigeons able to fly up to 500 miles per day but rarely do? 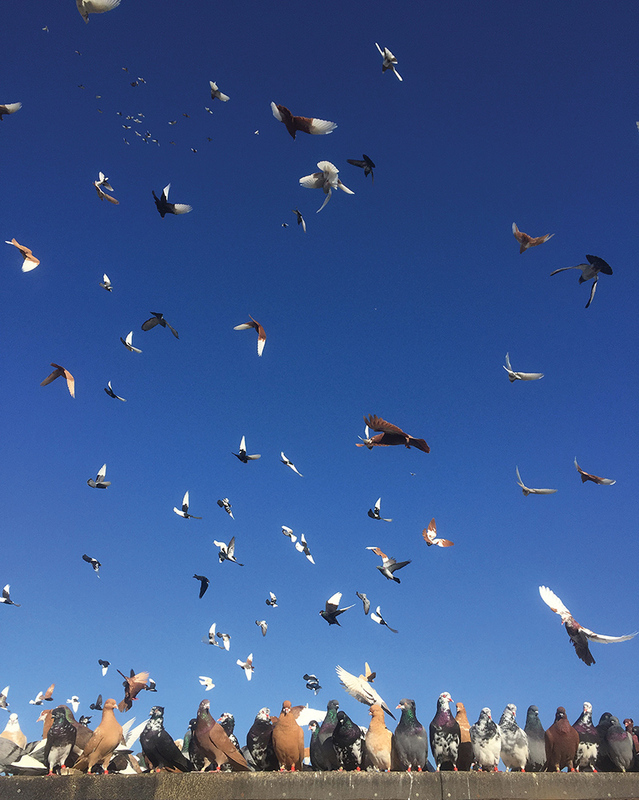 How did Harvard psychologist B.F. Skinner teach pigeons to do complicated tasks, from tracking missile targets to recognizing individual human faces? Why can pigeons see in the ultraviolet light spectrum and half of their brain is used for visual perception? 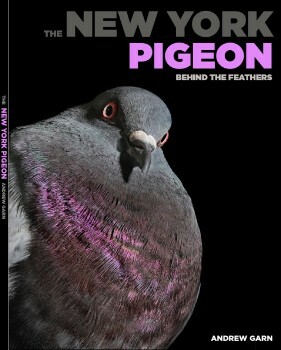 The New York Pigeon lovingly describes and illuminates the beauty of nature that is alive in our midst. With this book, the beautiful, savvy, graceful, kind pigeon will be invisible no more. 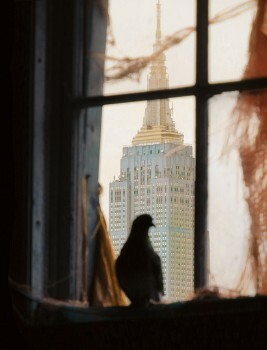 Andrew Garn is a native New Yorker who grew up surrounded by pigeons, he has been photographing, rehabilitating and observing Columba Livia for eight years. 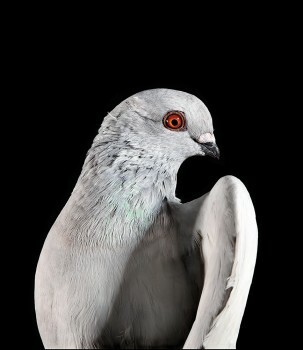 Since 2008, when he exhibited photographs, video installations and sculptures of pigeons at A.M. Richard Fine Art in Brooklyn, NY, he has continued to photograph them. Documenting the entire spectrum of development, including full-grown pigeons, newborns, babies and “squeakers”, he has grown to love these birds. 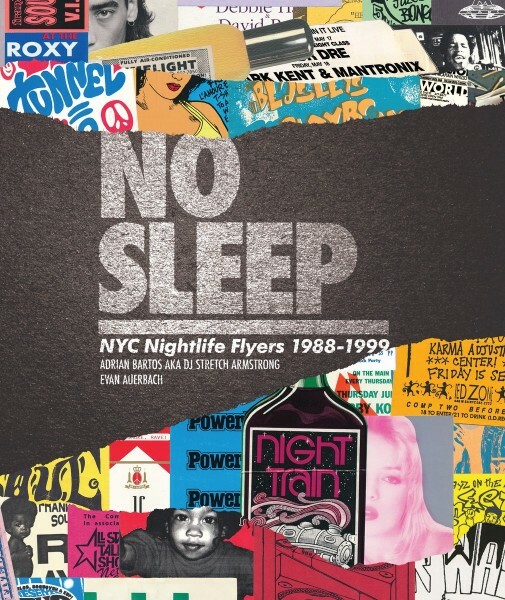 Mr. Garn is a fine art and editorial photographer whose work has been widely exhibited and appeared in the pages of numerous magazines including the New York Times Magazine, Fortune, Forbes, Interview, Vogue, Vibe, Time, Newsweek, Der Spiegel, French Photo, Elle Décor, New York and Bloomberg LP. 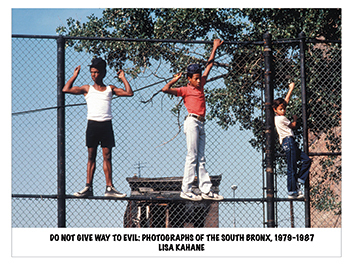 He is also the recipient of grants from the New York State Council on the Arts, the Graham Foundation, the National Endowment for the Arts, and the J.M. Kaplan Fund, among others. 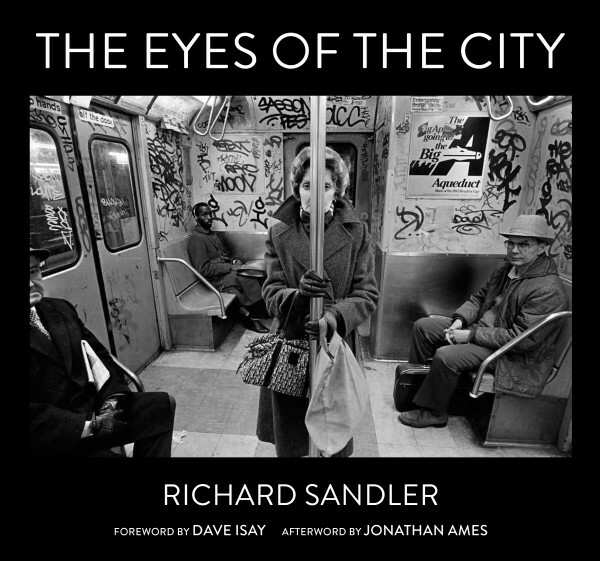 His previous books include Exit to Tomorrow: The History of the Future (Rizzoli, 2007), Subway Style: Architecture and Design of the NYC Subway (Stewart, Tabori & Chang, and the MTA 2005), winner of New York Society Book Award, The Houseboat Book (Rizzoli/Universe 2003), and Bethlehem Steel (Princeton Architectural Press 2000). Emily S. Rueb is an editor for the New York Times metropolitan section. 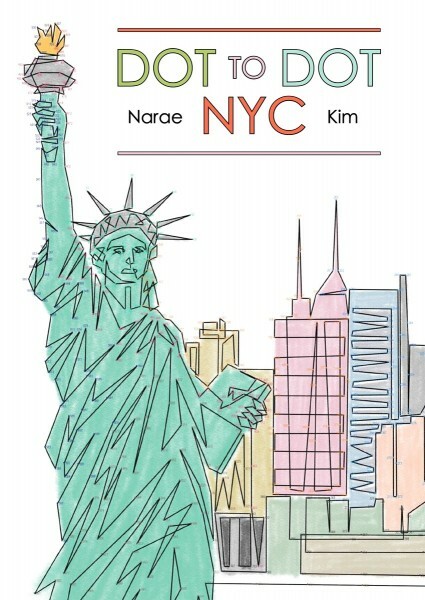 She writes regularly on avian subjects and was the creator of Bird Week and the “Hawk Cam” which chronicled the lives of a red-tailed hawk family in Washington Square Park. Rita McMahon is the founding director of New York City’s only wildlife rehabilitation facility the Wild Bird Fund. 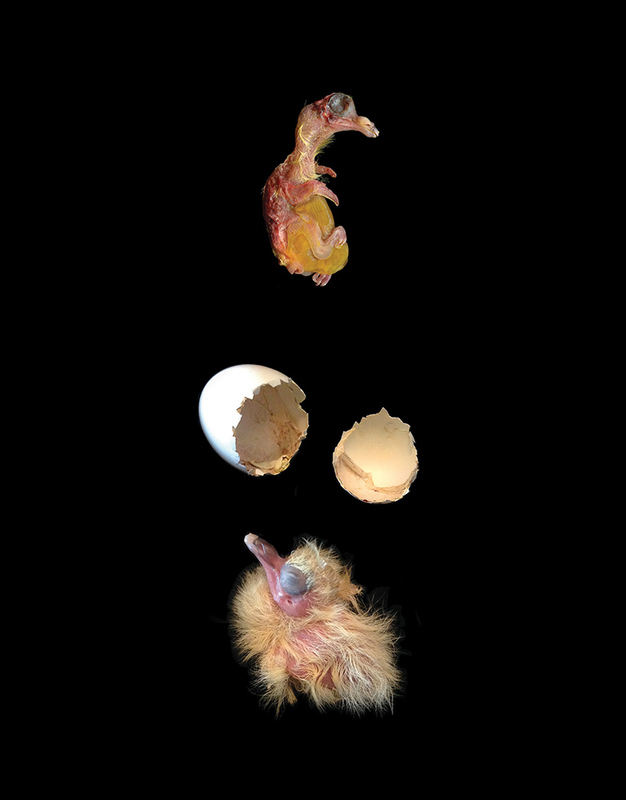 The non- profit facility, operated by volunteers and vet science trainees helps over 4,500 injured birds per year.